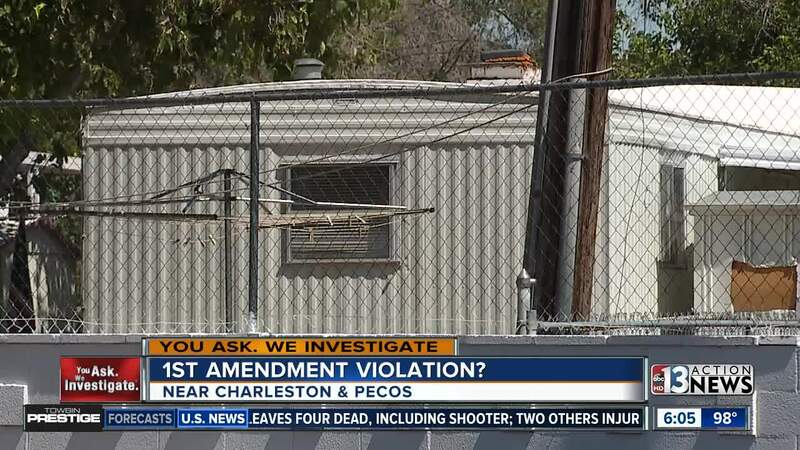 Some folks living in the Palm Grove Senior Mobile Home community near Charleston Boulevard and Pecos Road claim their civil rights are under attack after a pile of monthly newsletter vanished. Matt Stanley says the community has published a monthly edition since 2011. Stanley is a co-editor and publisher along with his mother. "It takes me anywhere from 7 to 9 hours per month to put it together, to edit it, and to put all the stories in it," said Stanley. The September 2018 edition included 10 pages as well as an editorial section. Stanley says any resident can provide an editorial for publication. The September 2018 editorial was written by Stanley's mother and it was critical of a new pet policy. "They are requiring you to keep your pets on a leash, even in a fenced-in yard," said Stanley. "We disagree with that because your animal could be hung up or injured," he added. The editorial also called for immediate action after a school bus was spotted in the senior community dropping off children. Stanley says he dropped off 200 newsletters at the leasing office on Saturday for residents to pick up at their convenience. Stanley says just days later, a resident informed him the pile of newsletters was missing. "The only thing I can say is when I went over to the office that day, it was because of the editorial," explained Stanley. Stanley says he confronted office management but was referred to a corporate manager for an explanation. 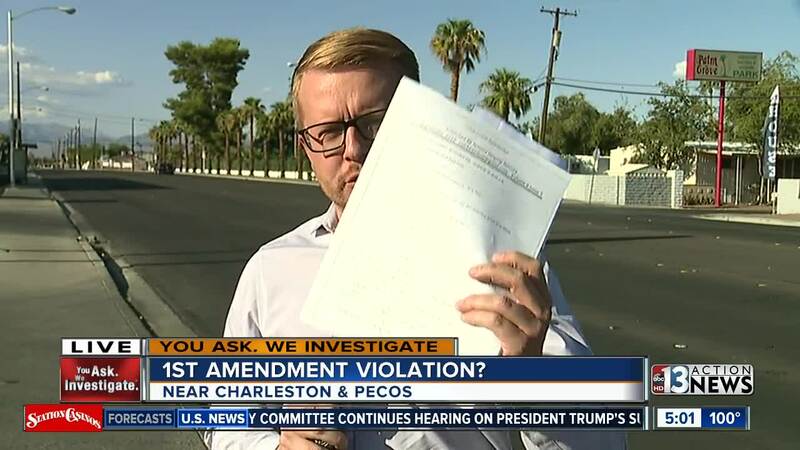 Stanley claims the newsletter controversy is a violation of the First Amendment. "They're being violated, our freedom of speech rights," said Stanley. "We are being violated and they're trying to censor what we can write in this park," he added. Contact 13 spoke to a park manager by phone on Thursday. The manager referred Contact 13 to a corporate spokesperson but the inquiry was not immediately addressed. Stanley said a corporate supervisor contacted him late Thursday and revealed he would no longer be allowed to publish and handout a newsletter, citing a no solicitation rule. In Nevada, the Nevada Housing Division, Manufactured Housing has a complaint section for landlord and tenant issues. The government agency works as a mediator between landlords and tenants. Stanley said he vows to continuing fighting.